The 2014 Campeonato Paulista de Futebol Profissional da Primeira Divisão - Série A1 (officially the 2014 Paulistão Chevrolet for sponsorship reasons) was the 113th season of São Paulo's top professional football league. In the first stage the twenty teams are drawn, with seeding, into four groups of five teams each, with each team playing once against the fifteen clubs from the other three groups. After each team has played fifteen matches, the top two teams of each group qualify for the quarter-final stage. After the completion of the first stage, the four clubs with the lowest number of points, regardless of the group, will be relegated to the Campeonato Paulista Série A2. If all four clubs with the lowest number of points are from the same group, the best third-placed club from the other groups will qualify for the quarter-final stage. Draw in the headquarters of the FPF. The Player of the Year was awarded to Cícero Santos. The Young Player of the Year was awarded to Geuvânio. The Countryside Best Player of the Year was awarded to Léo Costa. The top scorer of the season – TBD. ^ "Paulistão Chevrolet 2012: o novo nome do Campeonato Paulista". 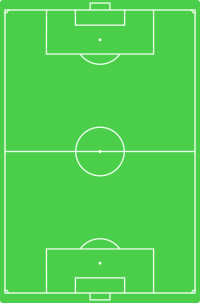 Futebol Interior. ^ "Regulamento do Paulistão 2014" (PDF). FPF. ^ a b c "Santos domina seleção do Paulistão". Globo Esporte.